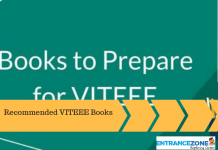 Banasthali Vidyapith 2019 Exam Pattern comprises of details regarding the aptitude test. It contains details related to the number of questions, type of questions, subjects, duration and marking scheme. And, the exam pattern gives a fair idea to the students on how to effectively prepare for the entrance test. Therefore, candidates must read the article to get details regarding the Banasthali Vidyapith Paper pattern. First of all, the questions appearing in the entrance examination will be objective in nature. Finally, every correct answer will fetch 1 mark. However, there is negative marking also. Hence, for every incorrect answer will result in the deduction of ¼ marks. And, once the candidates understand the paper pattern, it is important for the students to practice. Further, this helps get knowledge about the type of questions generally asked and the topics generally questioned from. Also, some sort of pattern exists among the questions papers from previous year tests. 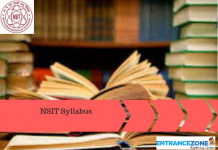 Moreover, the sample papers also give an idea about the most frequently asked or important topics from the syllabus given by the university. And, students should solve the Sample papers of the previous year as well. Also, this will give a fair idea to the students about which questions to attempt and which ones to leave for the last. 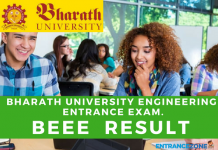 Stay informed about EntranceZone for latest updates and feature articles regarding Banasthali 2019 Exam Pattern. 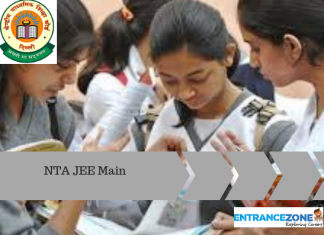 banasthali entrance exam paper, banasthali vidyapeeth mba entrance exam sample paper, sbanasthali vidyapeeth entrance exam centre, bbanasthali admission form 2019 banasthali entrance exam syllabus.